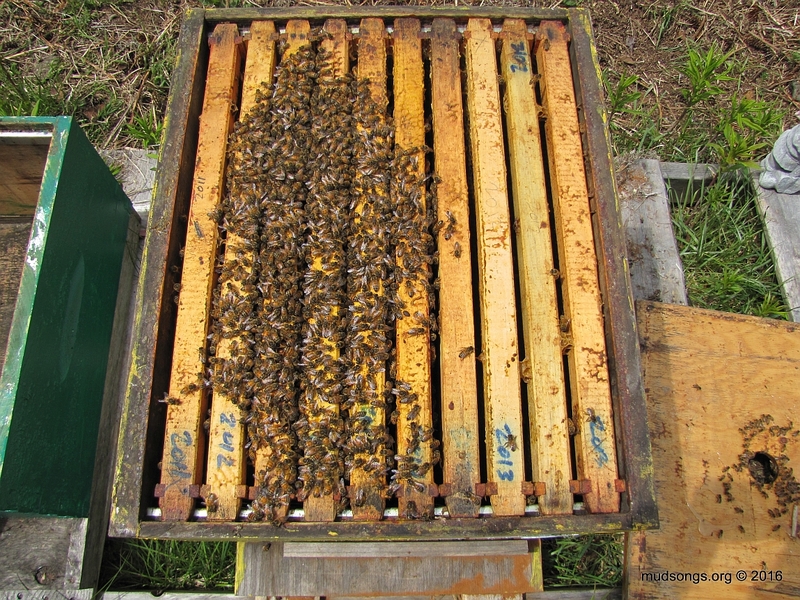 Honey-for-humans, which includes harvesting the honey, tasting it, baking with it, etc. Actually, anything to do with honey. This is just me wondering about something. It doesn’t have much to do with anything. Two years ago today, I checked the honey super in one of my hives (in Logy Bay, Newfoundland) and found the thickest frames of honey I’ve ever seen. 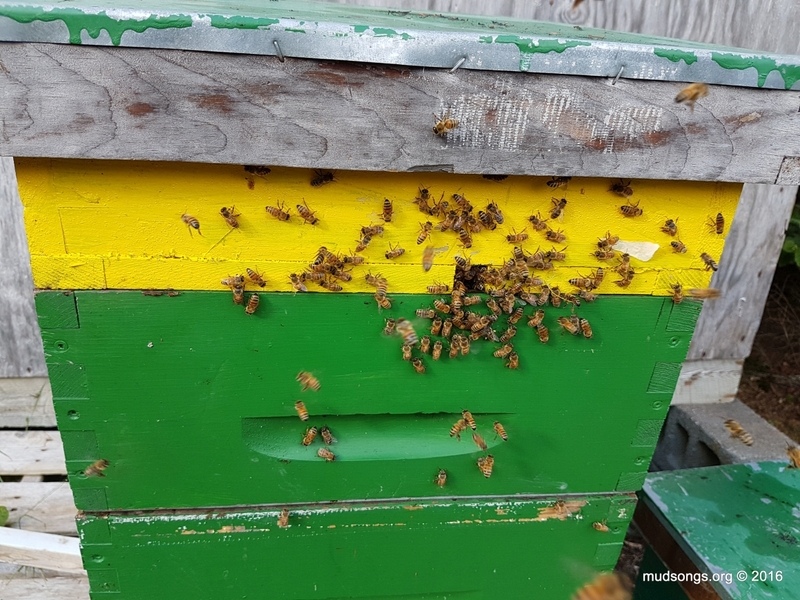 The one hive I have this year that might make me some honey, as of last weekend, hasn’t collected a drop of nectar in its honey super. 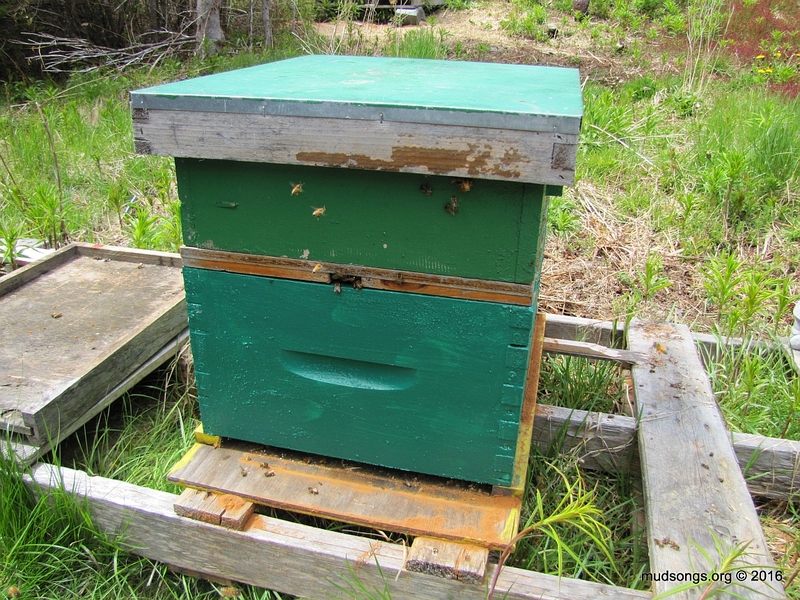 I know my colonies this year, still recovering from the attack of the shrews, were in hard shape to begin with, but I wonder if my new location (about a kilometre from the North Atlantic Ocean) is less suitable for honey bees. 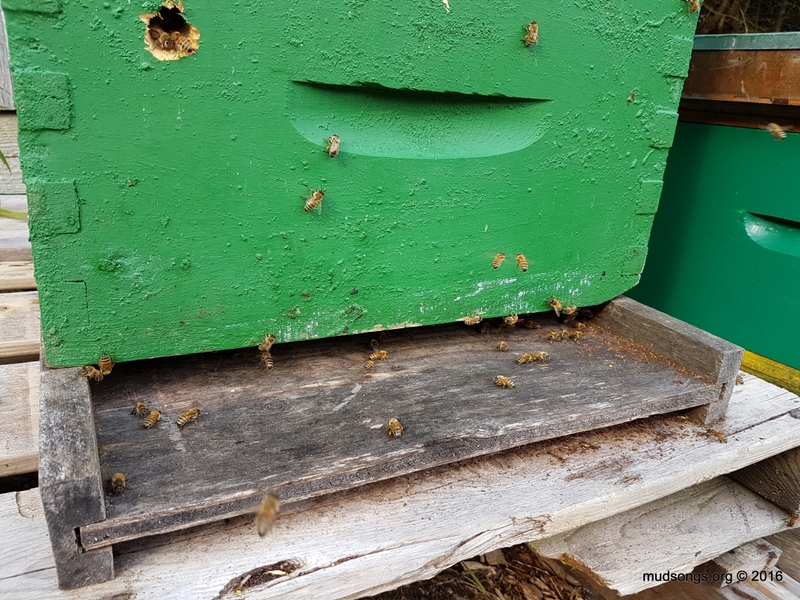 A friend of mine, who got into beekeeping a few years ago (until one catastrophe after another put an end to it), kept his bees in an area that was surrounded by coniferous trees, a forest of spruce trees that don’t provide nectar for honey bees. 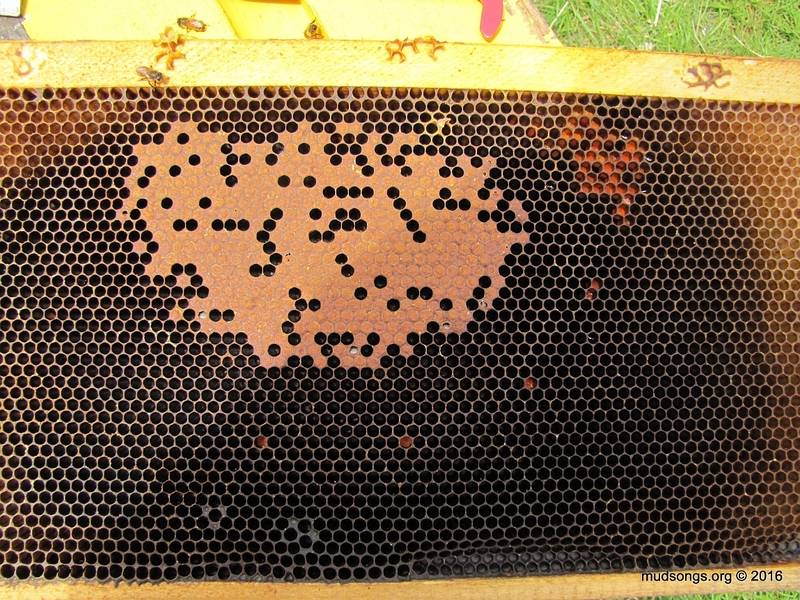 Even if his bees hadn’t come to a sad end, I question if his bees would have had enough to forage on to stay alive. I’m wondering about mine now too. 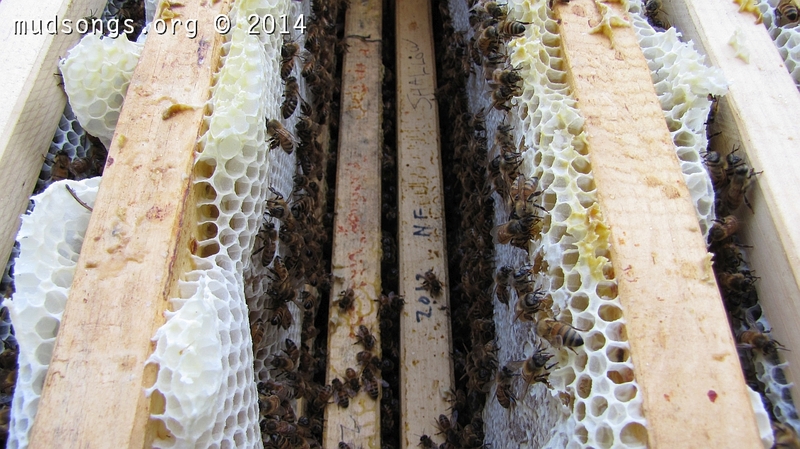 One third of my bees’ forage area is the North Atlantic Ocean. And it’s cold. I can often see a fog bank rising above the Labrador Current from my house. 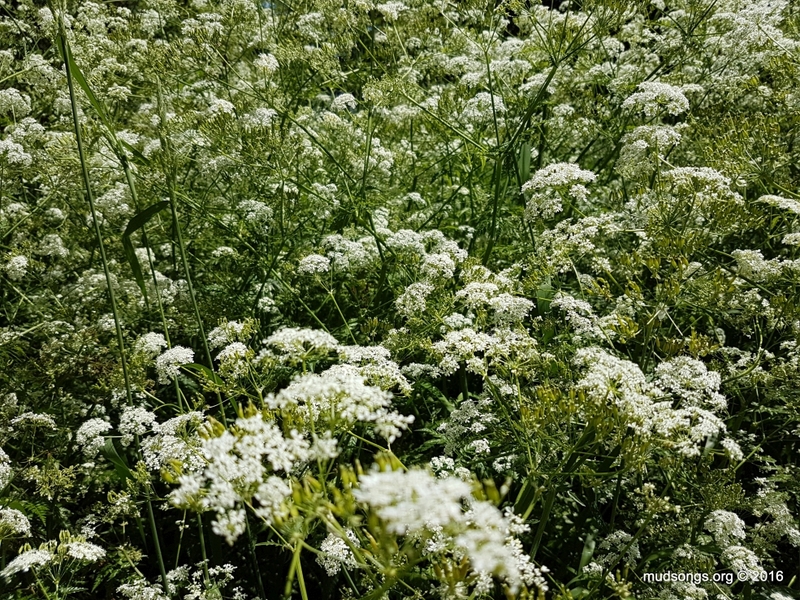 While I see considerably more forage for my bees than a endless forest of spruce trees, I can’t help but ask, is it enough? I probably won’t know until next year when I have some fully established colonies again. I’ll be pleasantly surprised if my pessimistic suspicions are wrong.